In this Dec. 13, 2017, file photo, actor Dwayne Johnson and daughter Jasmine Johnson attend the ceremony honoring Dwayne Johnson with a star on the Hollywood Walk of Fame in Hollywood, California. 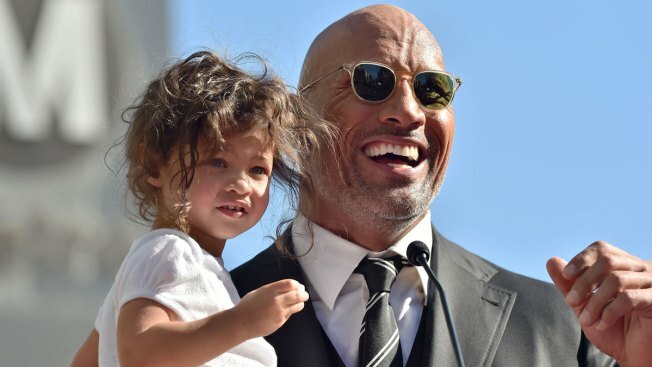 Dwayne "The Rock" Johnson may often play a hero on the big screen, but the action star took to social media to thank a handful of real life heroes who assisted in an undisclosed medical crisis Saturday involving his 2-year-old daughter Jasmine. "Something happened to my family that I would never want to happen to any of you guys out there," Johnson revealed on Instagram. "We were up all night in the emergency room. We had something scary happen with our baby girl Jasmine. She's OK now, thank God. But I just want to say thank you so much to everyone who was so caring and concerned and responsive." Johnson took time to thank the 911 operator, the Los Angeles Fire Department first responders as well as members of the UCLA Medical team who asisted during the emergency. "To all you mommies and daddies out there, when emergencies like these happen I highly recommend you stay as calm and as focused as possible because our little babies they pick up on what we're putting out especially in times of stress," he said.